IMPEC Group continues its rapid transformation into a full-service Facility & Professional Real Estate Services provider through strategic acquisitions and experienced hires. IMPEC’s goal is to be an impartial, knowledgeable and high-touch service provider to the industry. Santa Clara, CA, March 26, 2019 --(PR.com)-- Leading San Francisco Bay Area Workplace Consulting and Facility Management firm, Impec Group continues to expand with the addition of Christina Hudnall as Senior Vice President of Human Resources and Staffing. Christina joins Impec Group effective March 26, 2019 at a time of rapid expansion in the areas of Facility Staffing and Recruitment, Project Management, Construction Management, Strategic Portfolio Planning, Space Planning, IWMS and CAFM services, as well as its historical core business, Facilities Operations. In this newly created position, Christina’s expertise will strengthen Impec’s HR processes and organization as Impec to takes take its next great leap forward. IMPEC’s specialization in facilities management and corporate real estate allows IMPEC to find, qualify and help you hire the best talent. Whether you need a contract (temporary) position filled or want to hire on a permanent basis, we can help you build your facilities and corporate real estate team in the Bay Area and across the country. Christina is a consummate professional having honed her skills at such companies as Bank of America, Merrill Lynch, JP Morgan and Torchmark Corp. Christina is an expert in Recruiting & Selection, Compensations/Benefits, Employee Relations, Training & Development, Policy Design & Administration, Operations Management and ATS / CSM Administration. 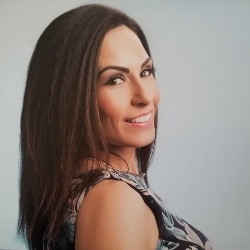 Christina also brings significant experience with multi-site businesses, most recently as a Head of HR and Recruiting at Berman Skin Institute. On personal note, Christina loves to stay active – she’s a competitive hiker, enjoys cycling and tries to catch a few waves surfing when the weather gets warm. IMPEC Group, with offices in Santa Clara, California and San Ramon, California, offers a full range of FM and CRE services including, CAFM, Facility Staffing, Project/Construction/Move Management, Workplace Design Analytics and Ideation by PLASTARC, Workplace Technology IWMS Solutions, Operations and Site Services. Bundling and integrating these services creates significant value to end-users in terms of better performance and cost-savings.